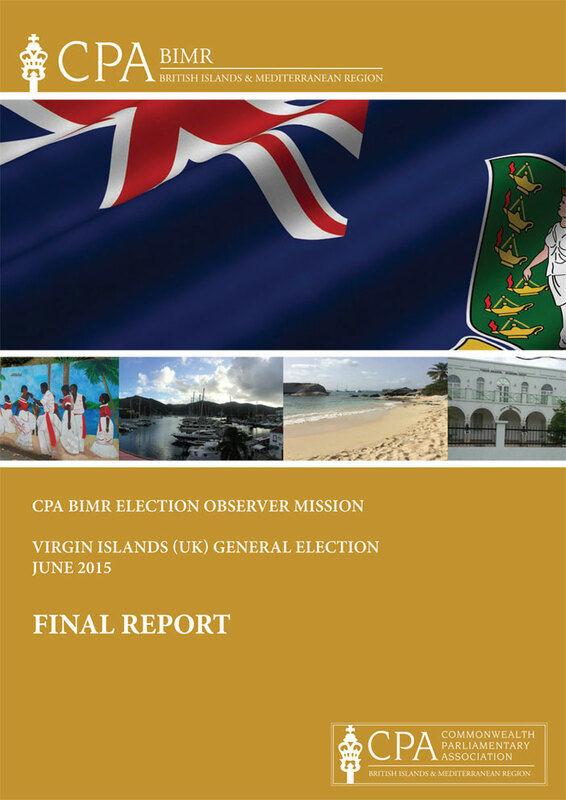 The Commonwealth Parliamentary Association British Islands and Mediterranean Region has issued its final report on the 2015 General Election held in the Virgin Island on June 8, 2015. The report provides an overview of the 2015 General Election with sections on the Election Observer Mission, Advance Polling Day, Election Day, the counting of votes, complaints and appeals and participation of women and youth during the process. It also speaks to the Virgin Islands legal framework, election administration in the Territory, candidate and voter registration, the campaign process and the media. It ends with a list of eight recommendations. Honourable Steve Rodan, Speaker of the House of Keys, Isle of Man and Head of the Mission stated in the preliminary report and again in the final report that the Mission believes that the Virgin Islands 2015 General Election was genuine, vibrant and competitive. “The Election met key international standards, providing the voters an opportunity to cast their votes in secret and express their will in a transparent, peaceful and orderly manner,” he said. The Election Observer Mission commended the voters for their enthusiasm and commitment to the democratic process which was evident in the high voter turnout. They praised the Supervisor of Elections and election officials who were professional in carrying out their functions meticulously and impartially. They however stated that improvements were needed to streamline the cumbersome voting and counting procedures as well as to address the deficiencies in the regulatory framework, particularly in relation to the registration of political parties and campaign financing. In the final report, eight recommendations were made. The Election Observer Mission recommended the Introduction of Fixed-Term Parliaments which would fix the timing of the Elections. A second recommendation was made for the introduction of a Code of Conduct to be signed by candidates. This would allow for a respectful and clean issues-based campaign. A third recommendation was for the creation of a permanent independent Elections Commission which would provide democratic oversight of the Office of the Supervisor of Elections, adding a further layer of public accountability. It would also provide clarity over the complaints process and address security requirements pertaining to the sealing and storing of ballot boxes. With regard to the Legal Framework, recommendations were made to consolidate the various statues into a single piece of legislation and to amend it to include the establishment, registration and regulation of political parties. The Introduction of finance regulations was recommended to provide guidelines and limits by individuals and businesses when contributing to a candidate or party’s political campaign. Other recommendations were made on party and candidate advertising, the voting process, the closing of the polls and the counting process. The Election Observer Mission is independent in its composition, findings and conclusions, adhering to the ‘Declaration of Principles for International Election Observation’, signed at the United Nations in 2005.